Aggrieved customers of Gold Coast Fund Management have vowed to make the founder and owner of the firm Dr. Papa Kwasi Nduom unpopular over their locked up capital. This comes months after Gold Coast Fund Management’s failed to pay the investment proceeds of their customers. Since then, all attempt to retrieve even their capital has being unsuccessful leading to serious agitationd amidst protests. 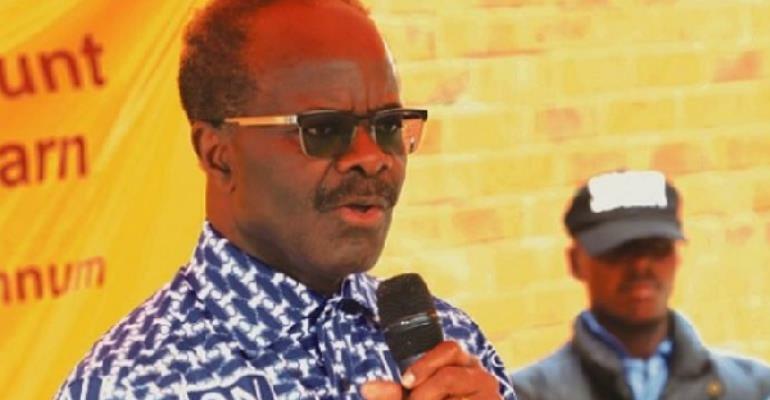 According to the customers, if the company fails to release their monies by Monday 15th April, they will scout and visit all companies owned by Dr. Papa Kwasi Nduom to picket and drive away customers any who goes to conduct business in that day. Meanwhile, Managers of Gold Coast Fund management are appealing to customers to stay calm as the company continue to work around the clock to pay back their investment capital. Public Relations Officer (PRO) for the Gold Coast Fund Management, Mr. Ben Afreh in an interview assured customers of their resolve to settle them. “We have been making payments as and when we raise money and we will keep doing that as more money comes. It is a little bit difficult to give a definite timeline and say we will pay everybody in say a month or a week but what we can assure customers is that every money that comes from their investments we will pay to them and not keep it”, he said. He further indicated that they are working with their regulators to fast-track the process of getting the money to pay them. He urges customers to desist from using violence as a means to retrieve their investments from the company.